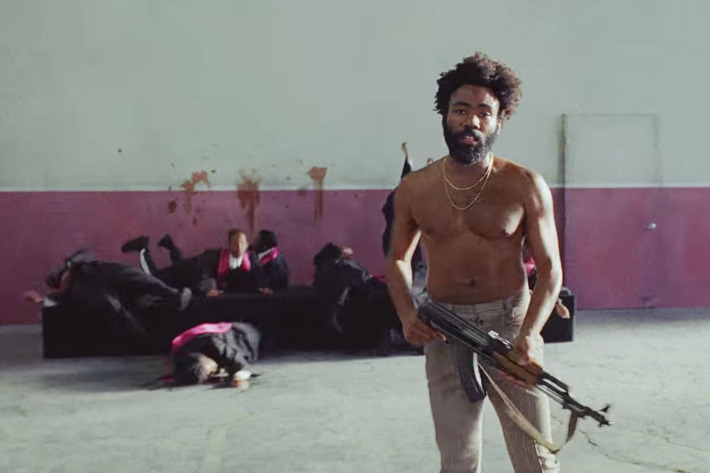 Childish Gambino dropped new song 'This Is America' over the weekend and ignited a huge debate. The arch rap prankster turned Hollywood icon returned to hip-hop for a State Of The Nation address, walking an incredibly difficult tightrope in the process. Kicking off his weekend on Saturday Night Live, the artist known to some as Donald Glover then unveiled the astonishing video for his new track. 'This Is America' acts as both praise and critique, a piece of self-examination and a quest to analyse America's fraught relationship with blackness and black culture. An incredible experience, watch the video below.